Strong Skunk is the latest of The D.O.T's nineteen tracks released so far. Yes, 19 tracks! and the beautiful thing about it is that The D.O.T are not just whacking out any old tunes, each track released is a top quality tune I'd happily pay my hard-earned pennies for. Listen to Shut Up and Keep Talking, That's That which has a lovely psychedelic feel to it that reminds me of The Boo Radley's - whom I love to bits! Everything Falls, Wrong Way Right Way and my all time favourite Weapon Of Choice. If you love what Mike Skinner and Robert Harvey have been doing then you are in for a treat because they are currently working on their debut album. Strong Skunk is mixed with unrestricted funky beats, fused with great lyrics and sung with the unmistakable, meaningful, inspirational voice of Robert Harvey, backed with that beautiful harmonising from Mike Skinner "Like a child whose afraid of the dark, or a man whose afraid of the light" that is so fulfilling and perfectly delivered it should have been repeated two to three times each, it's the best part of the song! Strong Skunk is possibly "one of" the greatest tracks of The D.O.T's finest tunes to date. I really hope this will be on the album. Play it, love it and then share it. Follow http://the-dot.net/ official site for more great tunes and video diaries. 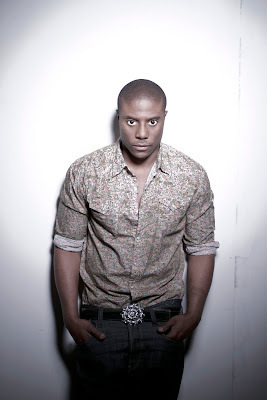 Leo Ihenacho AKA Leo The Lion, the British/Nigerian Singer, Songwriter, Actor and DJ, formerly the singer with The Streets, has now re-worked the beautiful favourite Nite Nite, previously featuring Kano and The Streets. It is an acoustic special for Valentine day. Last Christmas I asked Leo for an interview for LikeTheSound, finally we got together for an exclusive, we talked about The Streets, getting lean, Getting his Idris on, Aliens, how the world is going to end? Sprkle! - Leo's new social media platform and much, much more. Addolorata : Hello, how is your day going so far? Addolorata : You have been DJing recently, you did Souk's in Clapham, describe your sets? Leo : Yes, I have been DJing for several years now... I was recently at SOUK in Clapham. It was for my friend Martin Offiah or should I say The Legend that is Martin Offiah (he insists on this title) the set turned out to be pretty good... I was playing some soulful house, the ironic thing was that I spent all day burning new tracks onto Cd's only to forget them at home. Addolorata : How long have you been DJing? Addolorata : When did you pick it up and get it outthere? The Legend that is Martin Offiah that gave me my first DJ gig... It was a special BBQ party in Clapham... I got a round of applause when I eventually mixed in my first tune. Reggae / Old skool... Every genre...!! anyone can be a Dj...but the good Dj is realised by their music selections. Addolorata : Too true! You used to sing with The Streets, was those day's the good days? Leo : Absolutely amazing... The best times of my life so far...we got to travel the world perform to hundreds of thousands of people... performed at shows like David Letterman / Jonathan Ross / Brit Awards, and most of all Jools Holland...this is what we call on earth 'living the dream'. Addolorata : Which of The Streets songs did you enjoy singing most and why? attach a miniature camera onto a brandy bottle and we jump into the crowd and pour drinks down everybody's necks and chests... all the images were projected onto the massive screens onstage for all to see... There was a time where we performed at Leeds festival, and anybody that is aware of this knows that it is renownfor the audience to chuck things, empty bottles some filled with bodily waste, if they weren't feeling you... This was the first time I was a bit nervous as during the Dry Ur Eyes song I hold a long note at the end... i really get into it, my eyes are closed my mouth is open... I'm just an open target...!!! Leo : The last time I spoke with Mike was like a year ago. Addolorata : Are you still cool with each other? Leo : I have no issues. Addolorata : Is it possible that you and Mike may work together again in the future from your perspective? Addolorata : You have released a few covers lately, last December you did a pretty amazing version of Walking In The Air and Beautiful which is out now. Have you penned any new bars? When will they be released? Leo : Thank you...well I'm currently finishing my album, as well as putting out these viral videos which I really enjoy... its just me having fun with songs that I love, experimenting and trying new things with them. Addolorata : Who do you admire most in the music biz right now? Coldplay are my all time favourite..to me they are the greatest band...period..!! Addolorata : Highlight of your career so far? Leo : Being part of The Streets and performing all over the world, and also being on the Weakest Link. Addolorata : Who would you most like to collaborate with this year? Addolorata : What is the most essential piece of equipment in your possession that your really couldn't work without? Leo : My studio... my apple macs, my blackberry. Addolorata : Run us through your fitness regime? Addolorata : Tell me about your new release for Valentines day? Leo : Well I was thinking of doing another cover... And I was actually struggling with a song choice, either someone else had done it or I didn't find a vibe for it... and jus by chance as I was going through my itunes, one of my tracks that I featured on with Kano - Nite Nite came on and I thought... I might aswell cover my own track. Addolorata : I love that song! What is the one question you wish I had asked you that I have not asked? Leo : Do I believe in Aliens and is the world gonna end this year. Addolorata : Do you believe in Aliens and is the world going to end? year..!! I have been given instructions to round up all the earthlings that I would like to save on my space ship... I have already sent emails out to all the relevant people asking them to register by providing all of their necessary bank details. Film called Lucky... We filmed that January... I was able to get my Denzel on... Or should I say my Idris on, then I have loads of ideas for my live shows and upcoming tour. Plus I am currently working on a new social media platform called Sprkle...its an app for established and upcoming talent in the entertainment and sports industry. I will keep you posted on that one. Addolorata : Yes, please do and I'll keep LikeTheSound reader's up-to-date with it as well. Thank you for your time, humour and memories. Well, true to his word, Nite Nite went out today, and here it is, I love this song, Leo always does this beautiful song justice. Share it and spread the love. Happy Valentines day! Shep3rd Exclusive Interview - Never Look Back. The UK's up and coming, freestyling rap artist Shep3rd AKA villa supporter Simon Shepherd from Tamworth has got a lot to say for himself, and never more so than through a hard and fast freestyling rant-off. He released his first mixtape at the age of 16, has been inspired by the likes of Paul Simon to Dre and The Streets to name but a few. He's not all mouth though, Shep3rd has learnt from the best and he's putting into good practise. 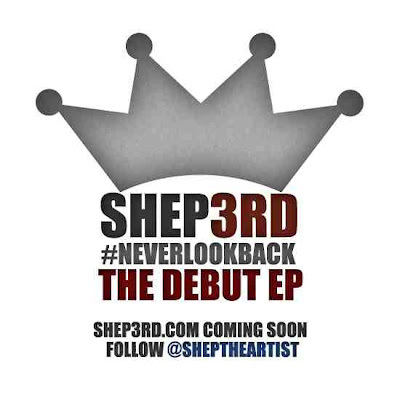 With Shep3rd's blatant ability to spit bars to the beat with gusto and lucidity, the enthusiastic MC is now in completion stages with his debut E.P titled Never Look Back on DimeRock Records which is produced by the highly talented Calzo Houdini. (Callum James Greens) and Larissa Dahlbeck. I caught up with Shep3rd just yesterday, and guess what? he had a lot to say! LikeTheSound is proud to present to you LikeTheSound's exclusive interview with Shep3rd. Addolorata : Hello Simon, let's start with name, why shep3rd? Shep3rd : The name came about when I was at school, my brothers were called Shep by everyone, teachers included. I was the 3RD Shep so I took the name on. Addolorata : Yeah, I know your brother Richard via The Streets, he's one of the best. Take us back to the beginning, where did it all start to kick off for you? Shep3rd : I was a big fan of the U.K Garage scene, 10 years ago it was full of big beats with hyped lyrics. I then thought I want to give this a try myself so I did. I started recording on half broken microphones in dingy bedrooms. Writing all the time (not much has changed lool) I used to write lyrics in lessons at school and I was always performing one way or another. I then released my 1st mixtape No Holds Barred at the age of 16. I then started spitting lyrics all-day everyday, I suppose it is down to the hard work I put in then that now my career is progressing. My songs were flying around the midlands via the then new craze of bluetooth. Addolorata : I first heard of you back in February 2011 with FREESTYLE! 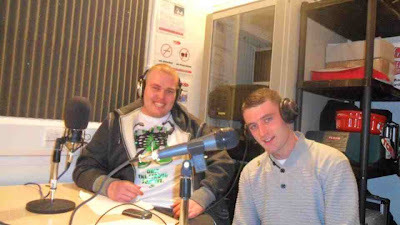 that was a pretty impressive freestyle practise session, spittin' to the beat with even flow sat in a mates car, I remember a lot of people on Twitter loving it when you put it out, so what sort of situations and feelings inspire your lyrics? Shep3rd : I'm glad you enjoyed it! The lyrics I'm trying to write now are mainly life experience. I like to use words in a way people can put pictures to them. I've had a lot go on that I feel a lot of people have too so they find it easy to relate to my stories, but sometimes I throw the beat on and my mind just goes crazy with new ideas. Addolorata : Who are your biggest inspirations? Shep3rd : I have inspirations from all different types of music. Paul Simon has always been a massive part of my life as growing up I have always been around his music. In the rap world I have been heavily inspired by west side American rap. 2pac, Dre, Snoop and I also thought a lot of now passed rapper Big L. But the main inspiration probably came from The Streets - Original Pirate Material. Addolorata : Have you been signed yet? Shep3rd : www.shep3RD.com I am currently with DimeRock Records. Addolorata : What are you representing in your lyrics? Shep3rd : I am representing positivity rather than these artists that are talking about things that they don't see or do, I think that's not helping the scene in the slightest. I want to try to get people listening to the words of songs again rather than people just liking the chorus. My lyrics also represent a person who has struggled and has turned his life on its head. It's clear when you listen to the forthcoming E.P what I'm feeling at the time . Addolorata : You have received and duly deserve a lot of support already, especially from the very notable Calzo Houdini. How essential is such support to you at this stage in your career and how does it feel? Shep3rd : Everybody at DimeRock Records have been excellent. In my opinion I have some of the best producers in the country working with me and they have the ability to help me succeed . Calzo is a top man and a even better record producer as well as a good entrepreneur. Having people who know the scene inside out is what every up and coming musician would dream about having . Also having Warner's and DimeRock's very own Larissa Dahlbeck working on my material too its looking like a good mixture of musical input. Addolorata : Calzo Houdini scored and produced a demo E.P for you didn't he? Tell us more about that? Addolorata : How important is creative control to you? Shep3rd : I feel it is all about directing me down the right paths to get to my final location. If Calzo sends me a beat with a hook on it already I know he has seen a gap in the market for the sound he has created. I will then write like mad until I have the sound that fits his . Promotion is also massive from recognised artists. Also at their gigs the sound engineer of The Streets wore one of the official Shep3RD t-shirts for the whole gig at Mallorca Rocks and DimeRock just launched my .com website which is building the foundations for me to build on. Addolorata : What do you hate about the music business right now? Shep3rd : I think that it lacks originality from UK artists. Everything seems to sound the same. It's not boring but just a bit repetitive. That's why I mostly listen to old school Hip Hop and what I would call real music. Addolorata : Who have you worked with so far? Addolorata : I'm sure you will. Who would you like to collaborate with in the near future? Addolorata : Never Look Back is the debut E.P, what is it going to sound like and what is it about? Shep3rd : Never Look Back is all of my feelings and emotions rolled up into one creative short album. though this is only going to be a taster of what's to come next year. I am hoping my music will get heard by more people than what was hearing my music already that is the aim for me personally. I wrote a song called Kick Off My Shoes which is my personal favourite on the E.P. 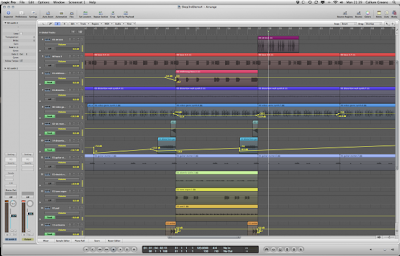 though it is still in working progress what we have so far is sounding better than I would of ever wished for. I haven't had much feedback from anyone else but record execs and close friends as I am not letting no1 hear anything until it is completed, I have to hide my i pod from my girl friend so she doesn't listen lol. It sounds like a mixture of original beats and deep lyrics with a lot of meaning yet easy to listen to with Calzo's musical edge. Addolorata : when is Never Look Back going to be released and where will we find it? 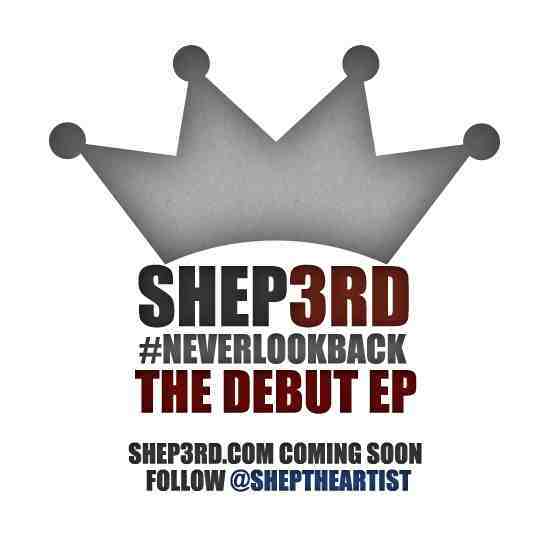 Shep3rd : Never Look Back will be released sometime in march or April, still awaiting release details. but it will be available on iTunes, Amazon and all other online music retailers. Addolorata : What is the one question you wish I had asked you that I have not asked? Shep3rd : Where would I see my self in 10 years time? Addolorata : Where do you see yourself in 10 years? Shep3rd : In 10 years time I would like to see my self being very successful off this music thing and perhaps own my own label. Addolorata : I'll look forward to being part of it. What is next on the agenda for you? Shep3rd : I'm going to get the E.P finished off then work towards my album. Also get some visuals to go along with some of the songs and hit Channel AKA. Shep3rd : I would hope to achieve some live performances along with radio play. Next year small stages at festivals. Thank you Shep3rd, it is still early days and exciting times are ahead. I know a good thing when I hear it and I'm looking forward to watch this one get the recognition he deserves very soon. LikeThe Sound is going to be supporting Shep3rd all the way. Are you? I absolutely love timelapse video's, especially when they are of the weather, plants and mould growth - Who watched BBC After Life - The Strange Science of Decay? Fascinating! A Twitter friend of mine, posted this snowlapse video which I think is pretty amazing, my only complaint is that it is only 0.38 seconds long. Revel in 0.38 seconds of what would have taken you a lot longer to view gazing out your window. Snowlapse from Toby Dylan on Vimeo. NEWS : You can now pre-order mike Skinner's memoirs titled 'The Story of The Streets' - via Amazon with 352 pages, including never seen before photo's of his youth and available in hardback or paperback. Published by Bantam Press.